What would happen for you if you were to become more effective at creating unbelievable relationships? And, what if you could connect at a deep level with your partner, your team, or your spouse? Imagine the advantage that would give you both personally and professionally! Today’s segment is going to show you how establish, cultivate, and prioritize those relationships so you can thrive! 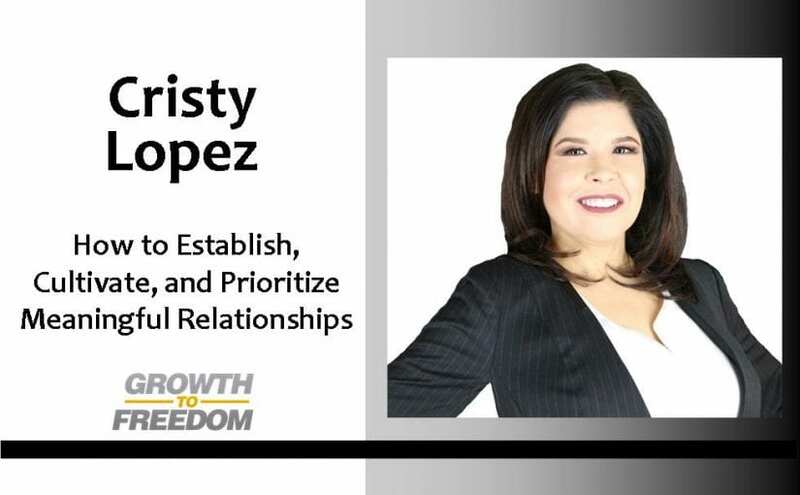 Today’s conversation is with Dr. Cristy Lopez. Dr. Lopez is a celebrity expert psychologist, coach, consultant and speaker. She helps people maximize their productivity and contribution in life, relationships and business. You’ll walk away from this segment with practical steps you can use today that will help you prioritize the relationships that matter – and how to make sure they continue to grow for a lifetime.